The ‘husband-snatcher’ is none other than their little daughter Annie Idibia, wife of popular musician Tuface Idibia, is presently in a fix. She claims that a young girl is trying to steal her man and make him hers. In a post she shared on her Instagram page, the diva claimed that the “lil girl” is winning the heart of her husband on a daily basis. This has made her seek out the advice of her followers. Annie Idibia speaks on loving 2baba The post also highlighted the musician’s first son Nino Idibia who she said looked a lot like Tuface. Nino who has an instagram picture to himself is a soccer player in the making as well as a chess and music expert. Only recently, he celebrated his celebrity father on Father’s day. Annie who acts in the role of a brand ambassador has been known to share very interesting photos of her daughter and herself who was born on the 3rd of January, 2014. Also, she is very liberal with expressing the beautiful love story between Tuface and herself. 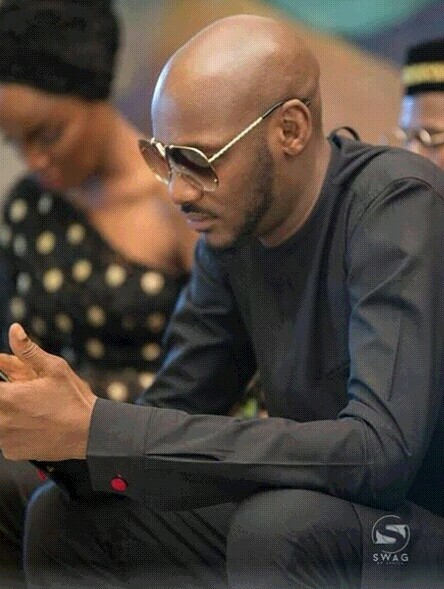 Tuface who is known as a father of many nations due to the seven children he has with several women proven to be quite an exemplary father who shows love to his children. The loved up of him and his children as shared by Annie is a proof of this.